Claire Warden is an educational consultant who has developed her approach to nature pedagogy and experiential learning through a variety of experiences. Her experiences have taken her on a pathway that includes working in a variety of types of centre, advisory work, and lecturing in further education. Claire is currently based in Scotland but frequently travels to Australia, the United States and elsewhere. As a lecturer in Primary Education at Strathclyde University, the development of training strategies and course creation have been applied to the dynamic and creative work currently undertaken by the company she first started, ‘Mindstretchers Ltd’. It has now grown to develop many aspects, including Claire’s own company, ‘Claire Warden Ltd’, through which Claire does her international and consultancy work, and her Community Interest Company, 'Living Classrooms', through which many community focussed projects have been delivered and which is now at the centre of the new International Association of Nature Pedagogy. 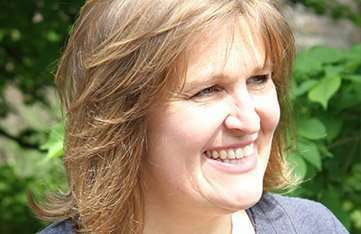 Claire Warden is an author of many books and materials relating to early years methodology. These include 'The Potential of a Puddle', which details UK national vision and values for outdoor play; 'Talking and Thinking Floorbooks', which presents the planning methodology that supports consultation and democracy in early education; 'The Right to be Me', which explores the rights of young children to high quality provision and 'Nurture through Nature', which explores working with children under three outside. 'Nature Kindergartens and Forest Schools' explores children's connection to nature and naturalistic spaces such as forest schools, forest kindergartens, woodland camps, nature kindergartens. Claire’s latest book, Learning With Nature – Embedding Outdoor Practice, which is published by Sage, has been very well received and is rapidly gaining a place as required reading on many academic education courses. Claire is also still closely involved with her own nature kindergarten, Auchlone Nature Kindergarten, in Perth and Kinross in Scotland. This outdoor nursery works with children from 2-6 yrs old, who spend up to 90% of their time outside. The three spaces of ‘inside’, ‘outside’ and ‘beyond’ are mindfully linked so as to develop skills and confidence in a predominantly natural environment. Claire is one of a leadership group of consultants who make up the World Nature Collaborative, a working party of the World Forum Foundation. The purpose of the group is to develop a cohesive network and approach to experiential learning in outdoor spaces in a variety of climates. The nature collaborative brings together educators, landscape architects, environmentalists and health workers to support a multidisciplinary approach to outdoor educational provision. Mindstretchers continues to work closely with Local Authorities to support all aspects of education from 0-11 years. Claire has written courses to meet the needs in home based environments such as childminders and shared day care spaces such as playgroups . Mindstretchers is also on the consultative committee on the place of Risk in Learning to the Scottish Government.